This is book 3 that continues the story of freedom-loving people in the make-believe country of Cordovia. We learn that Cordovia was settled by Spanish conquistadors and English aristocrats. The Rebel Series is inspired by the stories of men who fought for freedom. And this book is loosely based on a man known as the Swamp Fox, a man of courage and valor. It’s a story of the good guys versus the bad guys set in an indeterminate time, but the reference to sword-fighting, lamplighters, dueling guns, capes, gowns, and pirates assures the reader that it is in the past. There is a slowly-building mystery that begins when circumstances occur that force the heroine, Caroline, to flee for her life, often barely escaping by donning unusual disguises, provided by tall, dark, handsome Jesse Conover, who is a master of disguise. The inevitable romance occurs. Issues such as women's abuse are part of the story about which the author obviously feels strongly about. I have reviewed several books by this author and her books are consistently interesting and clean. This book is no exception. 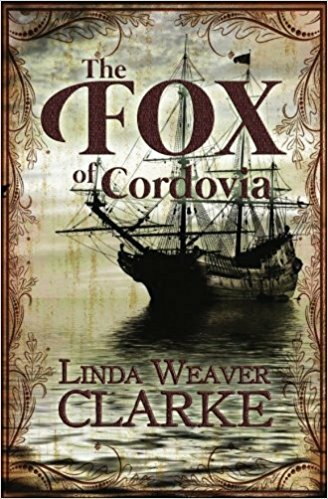 Linda Weaver Clarke is the author of historical romances, period romances, a romantic cozy mystery series, a mystery suspense series, a children’s book, and non-fiction. She has traveled throughout the United States giving lectures and teaching people to write their family history. All her books are family friendly. She is from Color Country, which is located in southern Utah. Visit www.lindaweaverclarke.com.